Cover Reveal...and an exciting announcement!! Occasionally an author writes certain characters who stay with them. For me, it happened to be a whole family...the Tidemores. They appeared in my first series ever, Scandalous Seasons where we met resident rogue, Jonathan Tidemore, the Earl of Sinclair and his many sisters. Through the years, each sister has gone on to have their own book. They found scandal...and marriage. With the exception of one--Poppy Tidemore. Poppy was the youngest sister; and when readers first meet her, she was just a girl. Now, all grown up, at last, she's going to have her book. 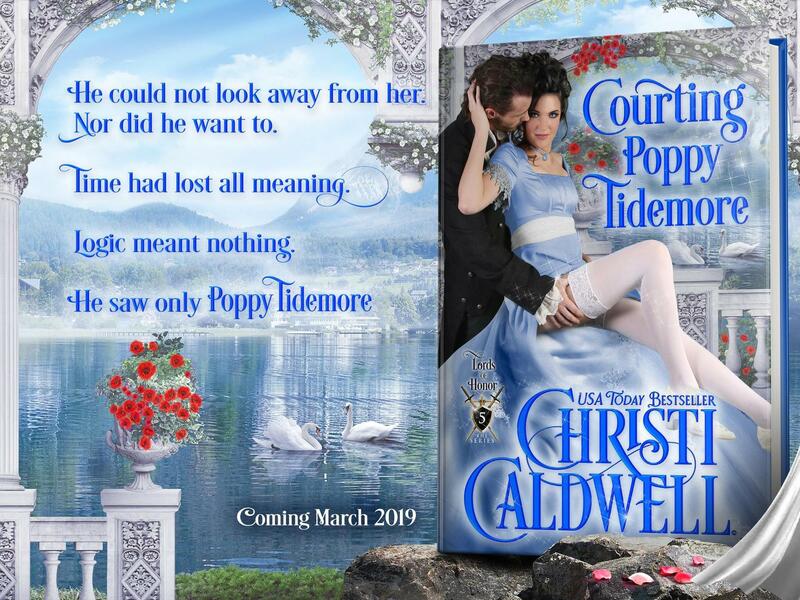 Titled, Courting Poppy Tidemore, it will be the 5th book in my Lords of Honor series. Coming March! In the meantime, stay-tuned for exclusive looks at the blurb and excerpts! Buy-links will be coming soon!